I sold my EML to build this E-MU modular synth. 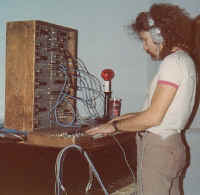 The E-MU company was the proverbial "two guys in a garage" at the time. I bought their submodules, and built rough unlabelled panels for it. Dave Rossum gave me my first electronics lessons over the phone. There are 4 VCOs, 1 VCF, 2 EGs, and 2 VCAs. I carried it on the road for years. I wish I still had it! Polyphony became possible (though expensive) when E-MU released their 4060 microprocessor keyboard. I bought the 14th one ever made. It had 16 channels and a 2000 note sequencer built in. I built an 8 voice synth using E-MU's voice demo boards, which used the legendary SSM chips. This thing sounded like an 8 voice rev 1 Prophet. It was also gigged on the road for several years. 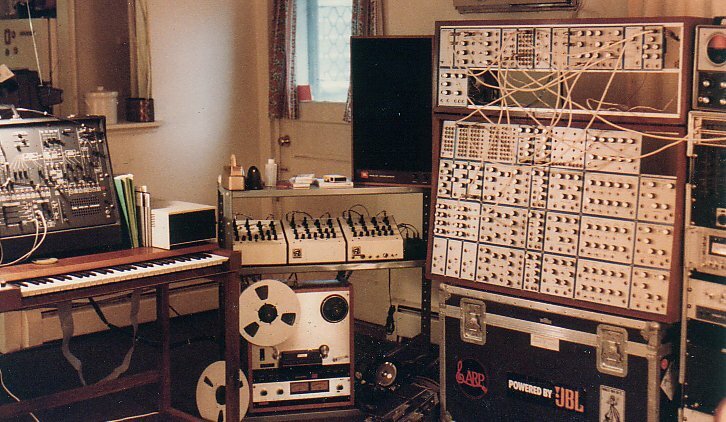 It was sold to the Audities museum to finance my latest modular system. A guy came up to me one night at a gig after seeing my poly E-MU. 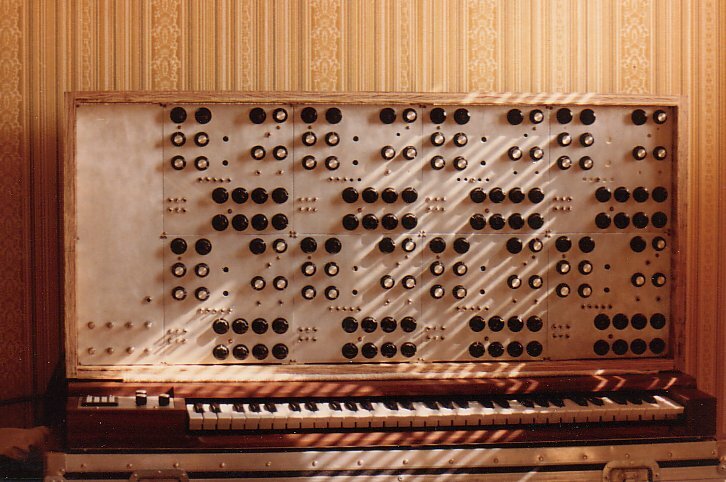 He wanted to buy an E-MU modular to start an electronic music studio. We talked a bit, and the next time I came through town he owned a large modular. I settled down there in Cincinnati after I came off the road, and ended up working with him for 7 years. We did a lot of tracks with our 'synth orchestra', which was an E-MU poly keyboard driving the modular, an Arp 2600, several SEM modules, and two Oberheim Expanders.